You all must be thinking that yes we know how to defuse a BOMB( pressing E) what new can u tell us about it. But yeah im gonna tell u some tricks about defusing a bomb. Players all over the world searched for these techniques and they helped me and im sure they are gonna help u guyz. U need to throw your weapon on the side of an object where bomb is planted, press control crouch and start defusing after 2-3 sec. release control and u'll pick up your weapon and enemy will think u are doing fake defuse and wont pick you. 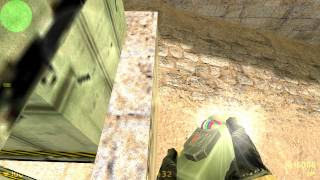 use cl_autowepswitch 0 so that weapon wont come into your hands and bomb wont get diffuse. The fake defuse is when u start defusing a bomb and then you release "E" and wait for your enemy, in the meantime enemy will think u are still defusing the bomb and will come out to kill you. The knife trick is when u press "E" key at the same time press "right click of mouse" while u have your knife equipped. The trick works when you press both at the same time. The Stand-crouch trick is when you start defusing the bomb and just stand up and crouch 3-4 times so that when enemy picks you he'll think u are doing the fake defuse. Here is a video I found showing many defusing tricks. Can you pst some tips regarding Bunny Hopping in Counter Strike Global Offensive? As i came to know that Valve has put height barrier and velocity barrier in game!